Jewish High School Students Take Action in Washington, D.C. | Calabasas Style Magazine Jewish High School Students Take Action in Washington, D.C.
Jewish High School Students Take Action in Washington, D.C.
During the last weekend of January, Rabbi Paul Kipnes and Rabbi Julia Weisz of Congregation Or Ami in Calabasas chaperoned 20 high school students to The Bernard and Audre Rapoport L’Taken Social Justice Seminar for High School Students in Washington, D.C. This four-day educational assembly focused on Jewish values and social justice. Led by the Religious Action Center for Reform Judaism (RAC), the L’Taken Seminar hosts approximately 2,000 high school students every year. Each L’Taken Seminar addresses about a dozen different issues. Throughout the weekend, students learn the importance of civic responsibility and gain useful skills that help them speak their minds throughout life. 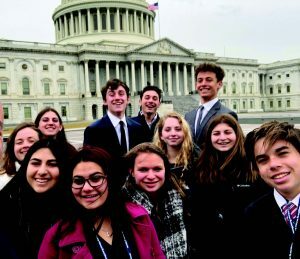 On Friday and Saturday, students had the opportunity to attend programs on a variety of issues, exposing them to numerous perspectives, Jewish values, texts and teachings, and the positions of the Reform Jewish Movement. Or Ami students focused on healthcare, LGBTQ rights, immigration, reproductive rights, campaign finance, and issues related to Israel. 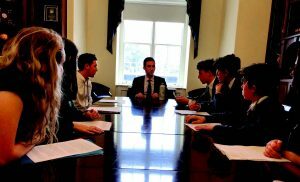 On Sunday, with the support of chaperones and the mentorship of the RAC staff, students picked a specific topic and wrote their own lobbying speeches to deliver on Capitol Hill on Monday. On Monday morning, the students boarded buses to Capitol Hill. Upon arriving at the offices of California senators and representatives, Or Ami students introduced themselves with confidence. 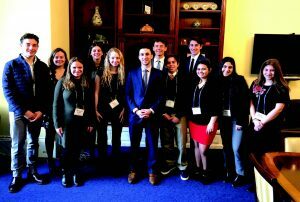 Without wasting any time, they then addressed current legislation by name and number, expressed their opinions based on Jewish and American values, and related the issues to their own lives with personal stories. They respectfully demanded that their shared values of rachamim (compassion), b’tzelem Elohim (the intrinsic worth of each person), and tzedek (justice for all) prevail. The L’Taken Seminar also includes visits to the National Holocaust Memorial Museum and the Smithsonian National Mall, celebrating Havdallah at the Jefferson Memorial, and socializing with other Reform Jews from across the United States. 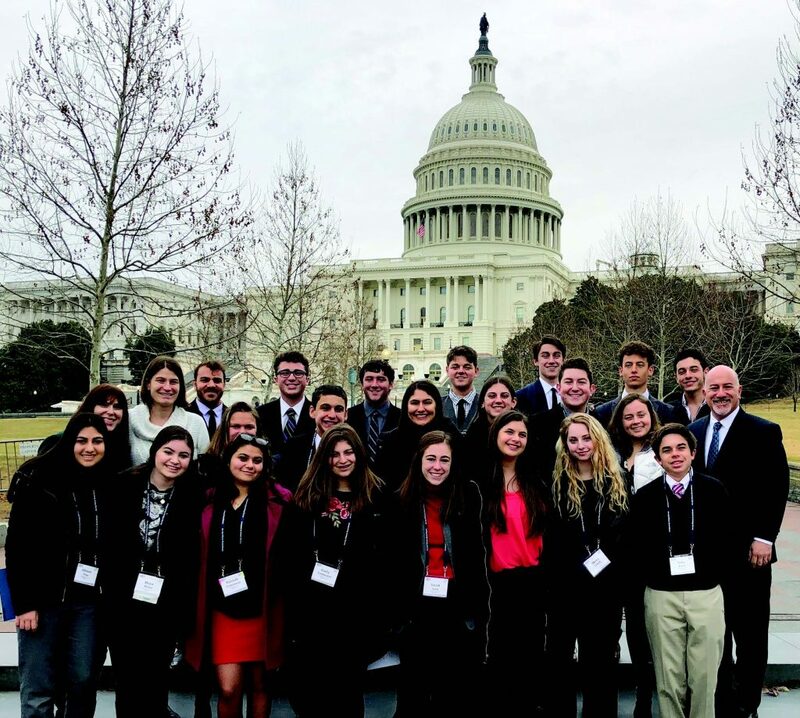 As the nonpartisan center of Jewish social justice and legislative activity in Washington, D.C., the RAC has been educating and mobilizing the Reform Jewish community on legislative and social concerns for over 50 years. The RAC is the Washington office of the Union for Reform Judaism (URJ) and the Central Conference of American Rabbis (CCAR). A proud member of the URJ, Congregation Or Ami (“Light of My People”) celebrates its 20th anniversary this year. 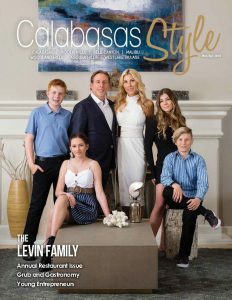 As a traditional Reform Jewish congregation for the west San Fernando Valley, Conejo Valley, and surrounding communities, Or Ami is a sanctuary of kindness, a safe Jewish community offering a warm, welcoming, and supportive environment. The Or Ami Center for Tikkun Olam (Social Action) pursues social action projects throughout the year, providing education about Jewish values and social justice activism to kindergarten through high school students. With the help of generous donations from congregants and foundations, Or Ami can continue to see its\ vision (“People Matter!”) flourish while shaping consecutive generations of Jews in a sanctuary of kindness.